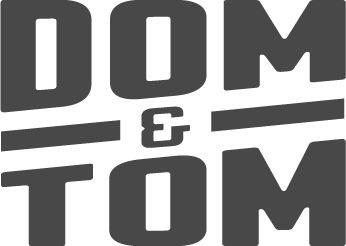 Dom & Tom makes the Inc. 5000 list for the fifth year in a row. Every year we seek to challenge ourselves and our team to push the boundaries of innovation, change, and learning by reflecting on the previous year's progress. Inc. magazine today revealed that digital product agency, Dom & Tom is No. 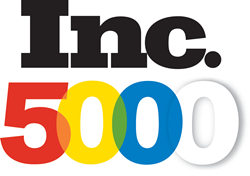 3023 on its 37th annual Inc. 5000 list, the most prestigious ranking of the nation's fastest-growing private companies. The list represents a unique look at the most successful companies within the American economy’s most dynamic segment—its independent small businesses. Not only have the companies on the 2018 Inc. 5000 been very competitive within their markets, but the list as a whole shows staggering growth compared with prior lists. The 2018 Inc. 5000 achieved an astounding three-year average growth of 538.2 percent, and a median rate of 171.8 percent. The Inc. 5000’s aggregate revenue was $206.1 billion in 2017, accounting for 664,095 jobs over the past three years. Complete results of the Inc. 5000, including Dom & Tom’s company profile, can be found online at http://www.inc.com/profile/dom-tom. "Every year we seek to challenge ourselves and our team to push the boundaries of innovation, change, and learning by reflecting on the previous year's progress. Because of that, we are proud to be included on the Inc. 5000 list for the 5th year in a row, and we share this honor with all our team members and clients," said Co-Founders Dominic and Tom Tancredi. Founded in 1979 and acquired in 2005 by Mansueto Ventures, Inc. is the only major brand dedicated exclusively to owners and managers of growing private companies, with the aim to deliver real solutions for today’s innovative company builders. Inc. took home the National Magazine Award for General Excellence in both 2014 and 2012. The total monthly audience reach for the brand has been growing significantly, from 2,000,000 in 2010 to more than 18,000,000 today. The Inc. 5000 is a list of the fastest-growing private companies in the nation. Started in 1982, this prestigious list has become the hallmark of entrepreneurial success. For more information, visit http://www.inc.com.